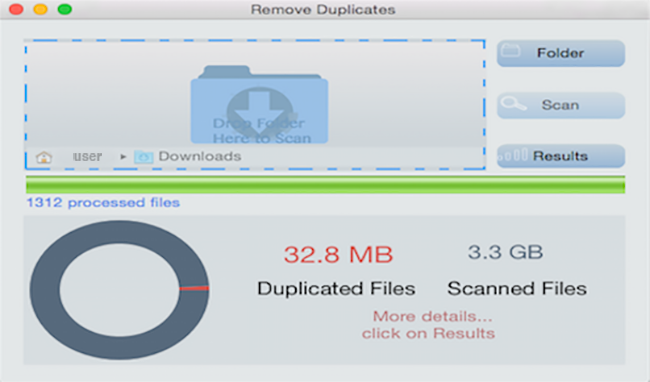 Remove Duplicates helps you locate, view, and manage duplicated files, files with identical content. It aims to assist you to take control of your duplicated pictures, downloads, or duplicated backup files. Pick and choose a folder or drive to scan and quickly identify and recover space in your hard drive by deleting found duplicated files. 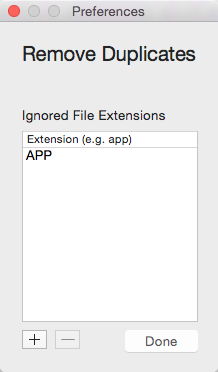 Speed up scanning process by excluding files using the Preferences pane to add file's extension. For example, add file extensions "MOV" and "M4V", without quotes, to exclude some movie formats.